Sunday mornings will not be the same. 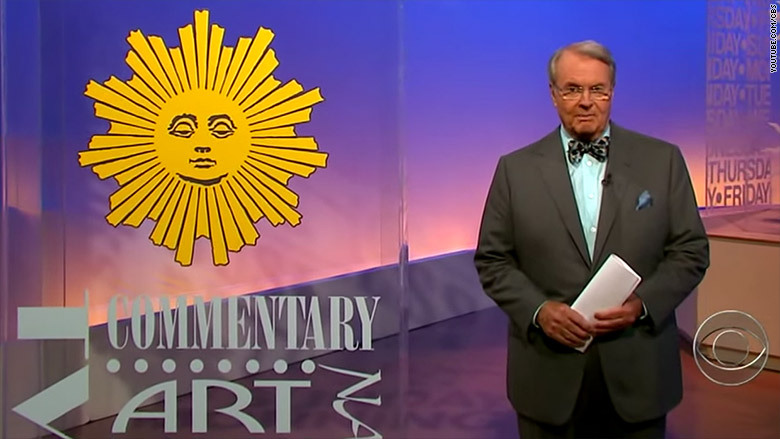 Legendary newsman Charles Osgood is stepping down from "CBS Sunday Morning," the weekly magazine program he has helmed for the past 22 years. His final day as host will be September 25. Sources said earlier this year that Osgood was contemplating retirement. "I'm here to tell you that the rumors are true," he said at the end of Sunday's show. "For years now people -- even friends and family -- have been asking me why I keep doing this considering my age. I am pushing 84. It's just that it's been such a joy doing it! Who wouldn't want to be the one who gets to introduce these terrific storytellers and the producers and writers and others who put this wonderful show together," he said. He concluded, "Between now and my last Sunday morning I'm going to practice singing that old Weavers song -- 'So long, it's been good to know you. So long, it's been good to know you. So long, it's been good to know you. What a long time since I've been home, and I've gotta be driftin' along." "CBS Sunday Morning" is far and away the highest-rated Sunday morning news program on TV -- and it has been growing at a time when many other shows have been shrinking. On Sunday morning Osgood thanked the viewers and said "the time has come" for him to say farewell. CBS News said he will continue to make "occasional appearances" on the program, however. And Osgood will continue to host his daily news commentaries for CBS Radio. The Sept. 25 broadcast of "CBS Sunday Morning" will be a "special edition" dedicated to Osgood's career, the network said. The show's longtime executive producer, Rand Morrison, said in a statement, "Working with him truly has been an honor, a privilege and a joy. We look forward to paying tribute to him and his legendary career in September — and, of course, seeing him on the radio." Osgood's contract was set to expire in December. CBS made no immediate announcement about a successor. But Jane Pauley, a contributor to the magazine program, is seen as the most likely contender. David Rhodes, the news division president, said Sunday morning that Osgood's "impeccable commitment to quality inspires all of us at CBS News."